We hope you have enjoyed reading the editions of The Korner as much as we have writing them. It's great to look back at all the Fab things that are going on and how your are all progressing. Please keep coming back to read them. Please do come and support us at "Live in the Park" THIS Saturday 27th. We'll be there from 12pm - providing taster classes throughout the afternoon. We'd love it if you can come along and take part in our taster classes and help us showcase our offerings during the Community in Action event. 4.00 – KaSoTonic Gent – Men’s only fitness! 5pm – Zumba! – The Dance Party! Autumn Dance courses On Sale now! In Long Crendon, Berryfields and Thame. With our Adult Ballet dancers going from strength to strength, we are adding another level to Thursday evenings. Please note the new timings below. Lord Williams' Upper School, Drama Studio - Thursdays from Sept 8th. Courses available to purchase and sign up at the KaSo Kiosk. From Thursday September 8th, our KaSoTonic class (previously 7.45pm) will move to the earlier time of 7pm and to Lord Williams' Lower School Lecture Room. This KaSoTonic Blast, delivered by Gavin, will feature all the exercises that you will have mastered in your KaSoTonic classes in an easier to follow format. Gavlar will be helping you make the most of your moves and encourage you to improve your output in the time you have with him. Same great exercises only less choreo! Blast your body and get weekend ready. 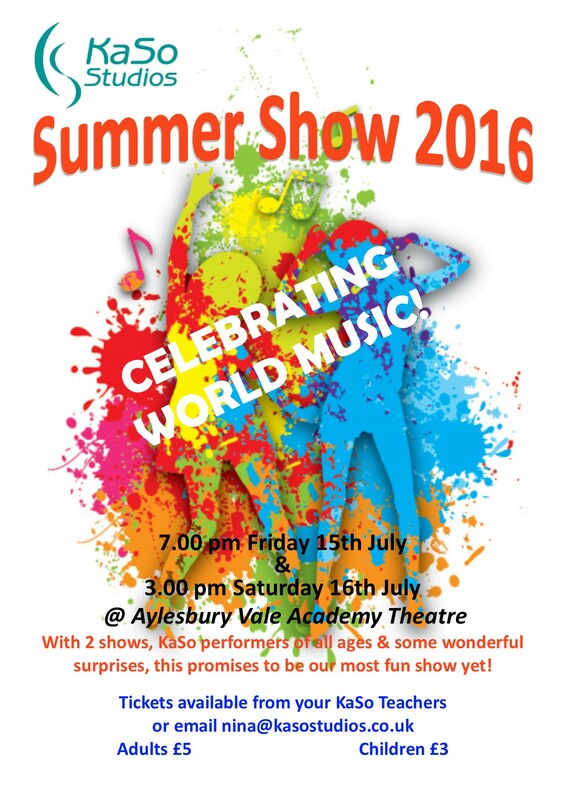 Huge CONGRATULATIONS to all our performers. The best shows EVER! The clips from the show are being edited and will be available as soon as we possibly can. Dates now in - Please head to the Website for details of '16/'17 term dates. Please head to your KaSo Kiosk to enrol & purchase Dance Juniors courses. 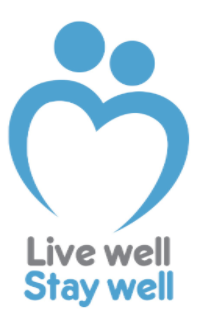 We're delighted to announce that KaSo Studios are now working in collaboration with Live Well, Stay Well Bucks. Live Well Stay Well is a FREE healthy lifestyle referral hub. They provide free information and practical support to help residents of Buckinghamshire to get healthier. Keep an eye on your e-mails, KaSoKiosk, Twitter, the Website and Facebook for class news. please help us to make new friends by sharing via options below, thank you. Copyright © 2016 KaSo Studios All rights reserved. Please do come and support our KaSo Dancers & a have a catch up with the KaSo crew post show! You can grab tickets in class, on the day or online. Head to the link below, you can pay with card on PayPal no need for a PayPal account. ALL FITNESS CLASSES WILL BE ROCKIN' & ROLLIN' THROUGHOUT THE SUMMER WITH GREAT NEW EXERCISES & MUSIC. STAY FIT & FABULOUS WITH US. Search for classes & timetable HERE. Please note NO classes w/c 29th August. Summer Dance courses On Sale now! 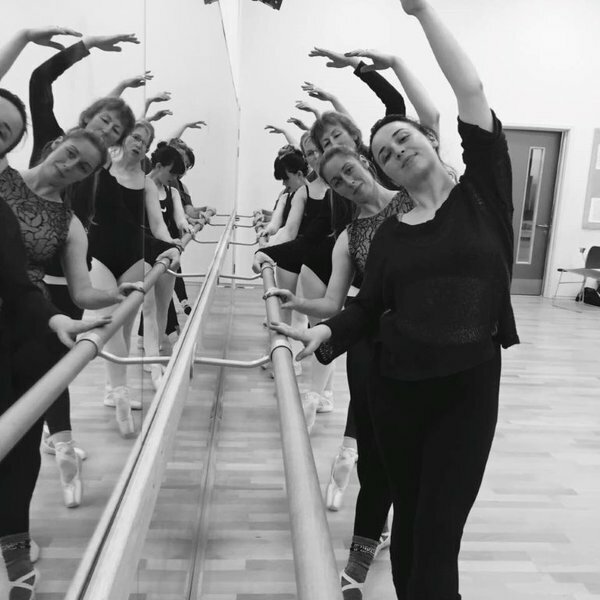 Adult General Ballet courses will be running in Berryfields on Wednesdays & Thame on Thursdays. Adult Beginners and Improvers Tap continues in Long Crendon on Tuesdays. KaSo Studios Summer holibobs - Please note classes will not be running w/c 29th August. All to resume w/c 5th September. Please head to the Website for details of '16/'17 term dates. 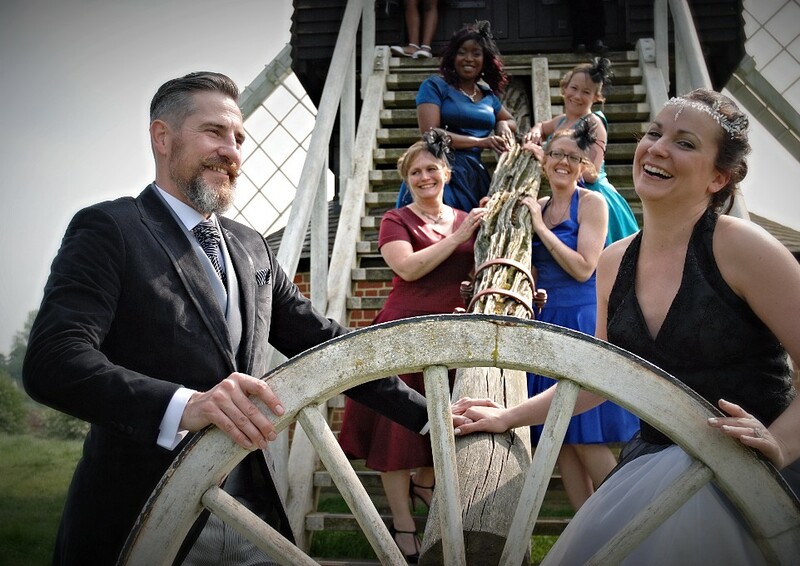 BRILLFEST - The Wedding Weekender! Well, what a weekend, both Sophie & Gavin want to say a huge THANK YOU to everyone that came to celebrate with us at our Wedding. We have received such love and well wishes in the run up and throughout. We had the most special, joyous time and can't thank you enough for all the love and support and generosity in creating a wonderful surprise honeymoon fund. If you're aching to see photographs please head to the BRILLFEST page here, Also if you do have any please either send to us or upload here. 2nd edition of the paper for all things KaSo. The inaugural edition of the paper for all things KaSo.